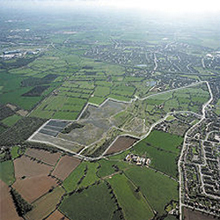 A part "Brownfield" part "Greenfield" site in multi-ownership. ORS obtained planning consent for 380 dwellings on part of the site despite strong local resistance involving objections from 10,000 residents. The 380 unit site was sold through Smiths Gore's London Office. A second phase is presently ongoing.